Interested in volunteering with TADD? - Website of taddhuntsville! 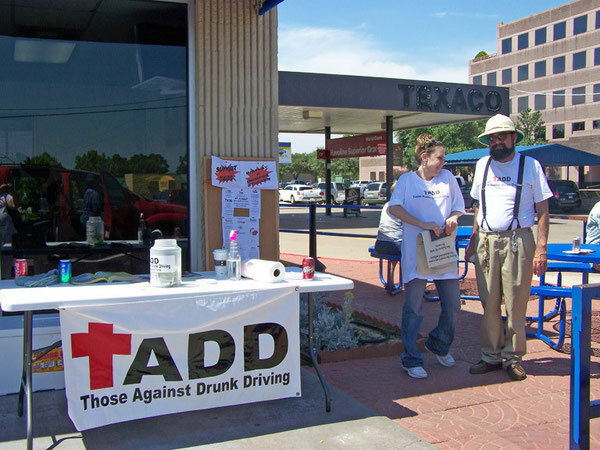 Interested in volunteering with TADD? Get involved by contacting us via email or attending an upcoming event! Volunteers maintain supplies of literature at every participating venue, undertake research -examining ways we can improve our message to speed up changes in attitudes. •Assisting on information stalls at functions. •Sending information to potential members. If you want more information about any of these opportunities please don't hesitate to contact us with your views on TADD and whether you will help us spread our very important message. After reading our website you may already have an idea what you would like to do, or even havea few new ideas of your own. Make contact with us and change, not only your life, but everyone else's - for the better!